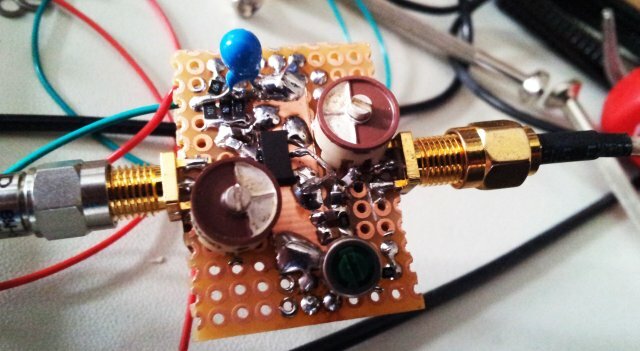 440 MHz ISM Band Amplifier: a few extra milliwatts…. 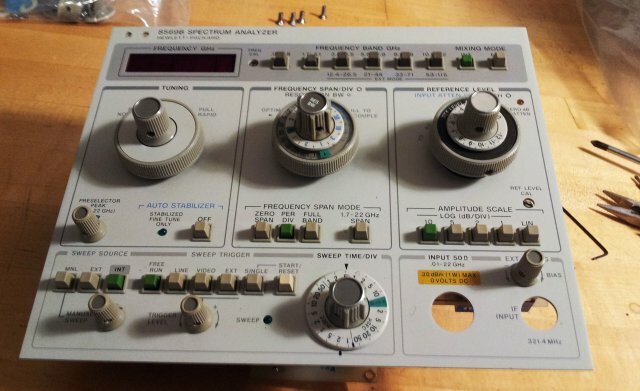 There are quite a few devices that use the ISM (industrial-scientific-medical) band at around 440 MHz to transmit information, like, remote thermometers, or to control some installations, like, garage doors, or for personal communications, like, LPD radios, or cordless headphones. Another general term for these devices is SRD – short range devices, and the short range is ensured by a typical maximum power of 10 mW, chiefly, 10 dBm. In some cases, it may be desirable to boost the output a bit, especially, if you are out in the woods, or for some experimentation of various kind. Be aware, depending on your country of residence, there may be limits to the allowable power of SRD units, make sure you know the rules! Various MMIC gain blocks exist to provide amplification and output power, but why not go for a discrete transistor solution, using a BFG541 (or BFG591) device. These 9 GHz/7 GHz transistors are SOT223 devices, very robust and easy to work with, and they are pretty low cost, less than 0.5 USD a piece. All the other parts needed are just sub-1-cent capacitors and inductors, except, maybe, for the electrolytic cap. The small inductors and capacitors at the input/output improve the input/output match (to 50 Ohm impedance), and provide some low-pass filtering (about 800 MHz). The test circuit on a piece of perf board (adhesive copper tape used for the back plane). 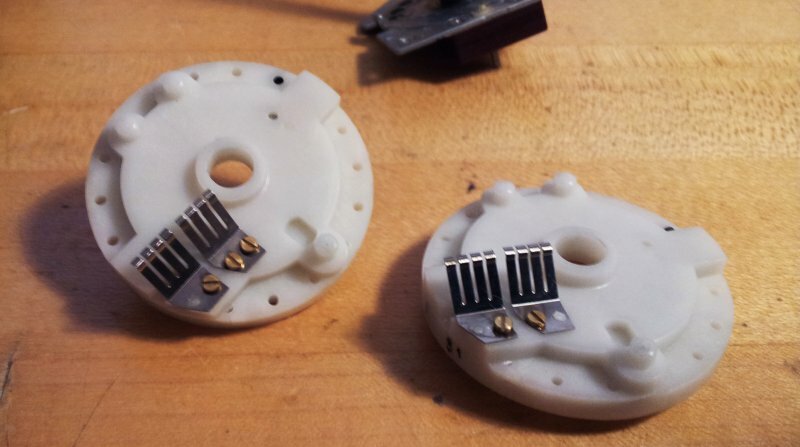 Note that this test circuit still has variable capacitors that were replaced by fixed caps in the final design. 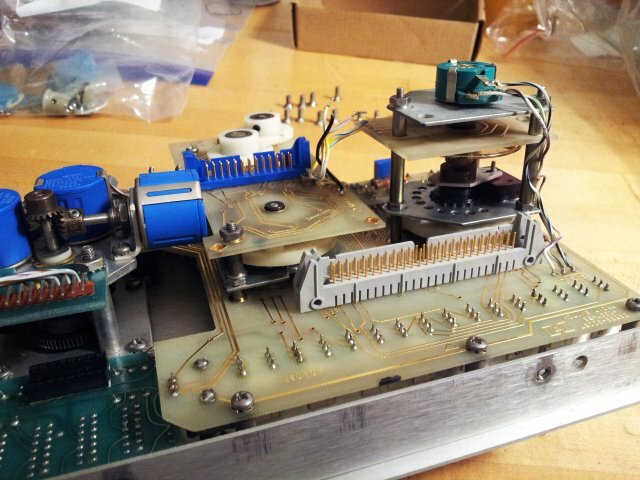 Also the bias voltage trimmer can be replaced by fixed resistors, it was just added here for convenience of bias current adjustement during test. 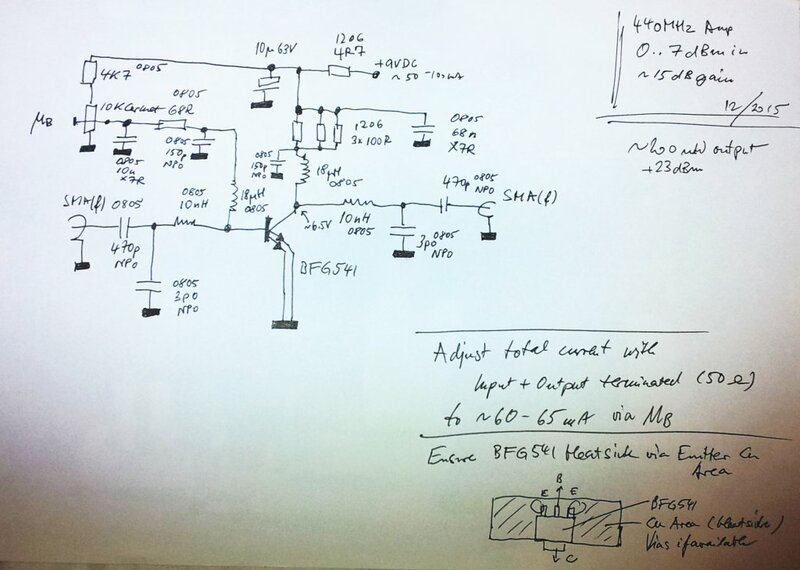 The gain measurements were done at +7 dBm input power. To get accurate results and to avoid overload of the VNA input, a 6 dB attenuator was attached to the output (with 2 Watts load capability), followed by a test cable, and with a 20 dB attenuator, directly at the VNA input. This gave about 26 dB (plus minor cable losses) of attenuation, or about -5 to 0 dBm at the VNA input, which is good. 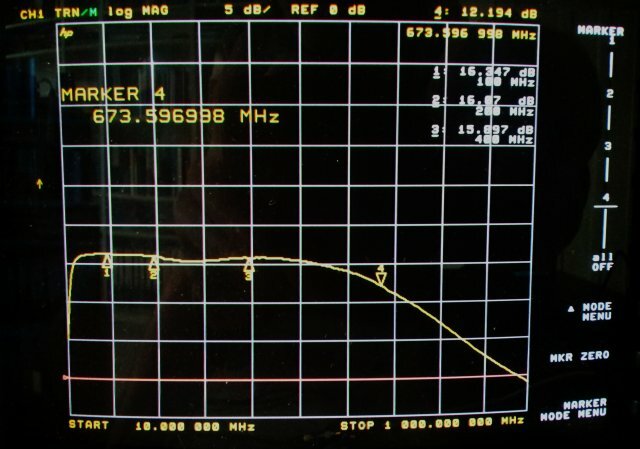 The gain offset introduced by the attenuators was removed by recording a reference trace and subtraction from the measured gain trace. 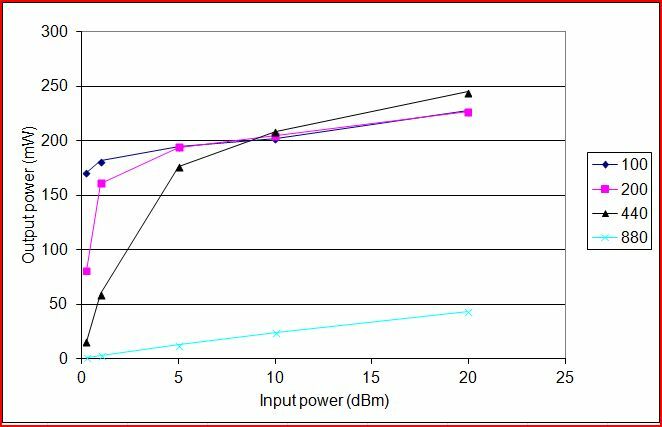 As you can see, well above 15 dB gain, and all reasonably flat (note that this is not the true gain, but the limiting characteristics; gain, at lower input power, is larger). We don’t want too much gain above 800 MHz, otherwise, amplification of harmonics and spurious signals comming from the SRD output (which typically is not filtered very well) could interfere with other communications. Here a few plots of the output power, at various input levels. 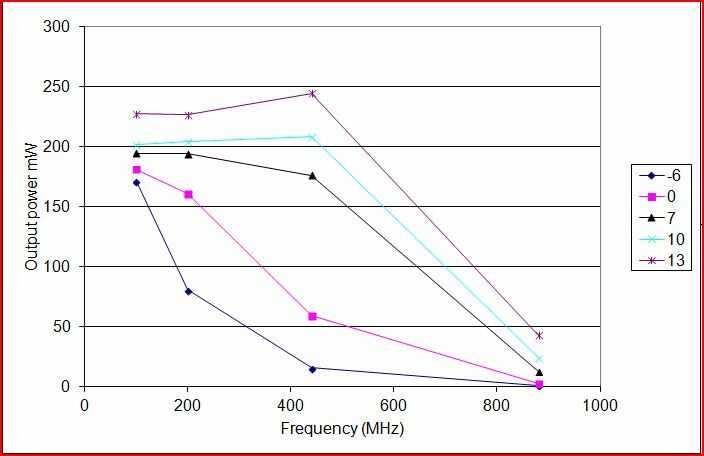 To get about 200 mW output power, about 5 mW (7 dBm) are enough, at 440 MHz, even less, at lower frequencies (in case you need to amplify other signals). 200 mW should be plenty for all practical applications related to SRD or ISM personal devices.